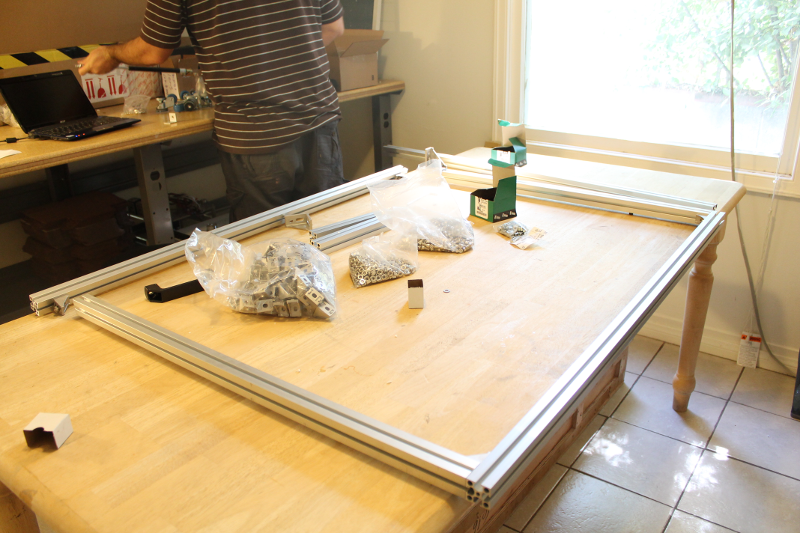 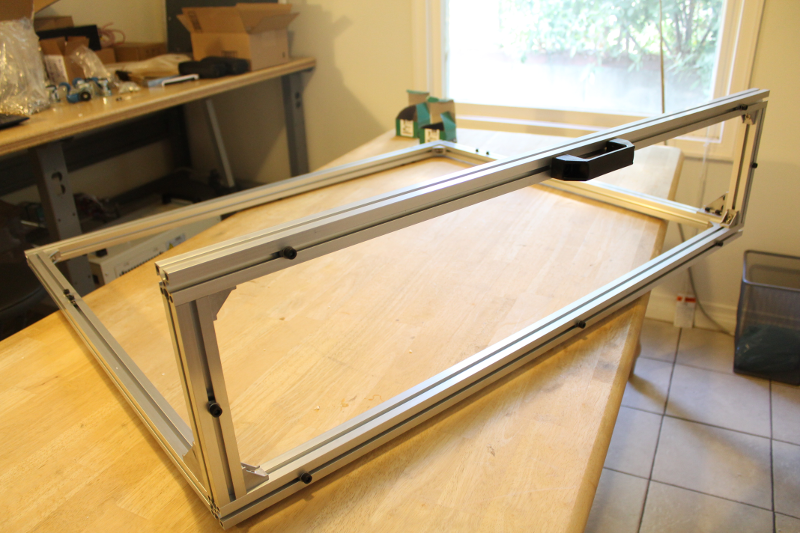 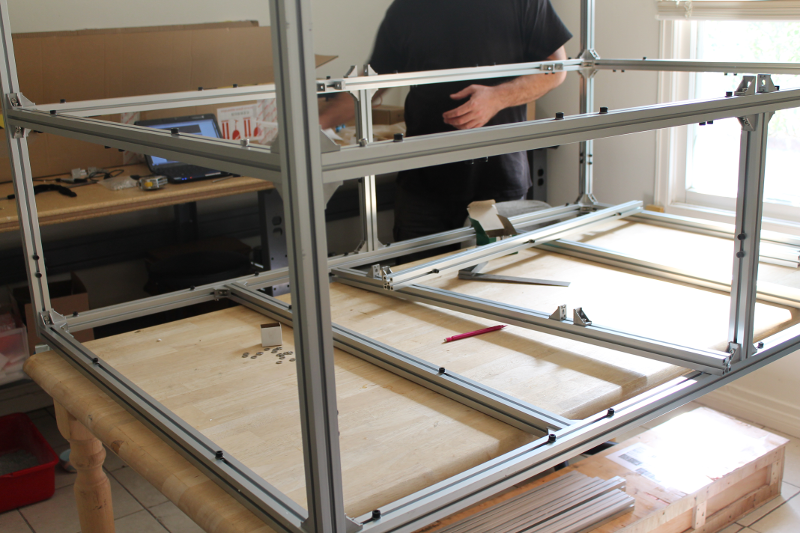 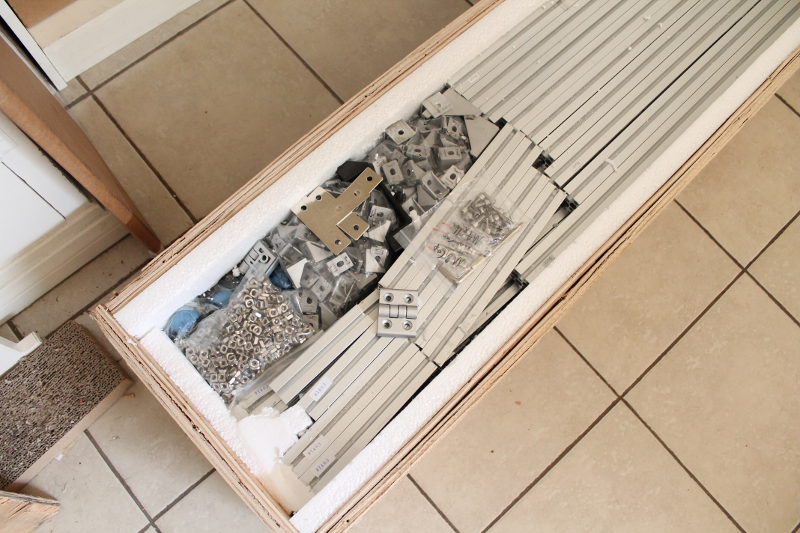 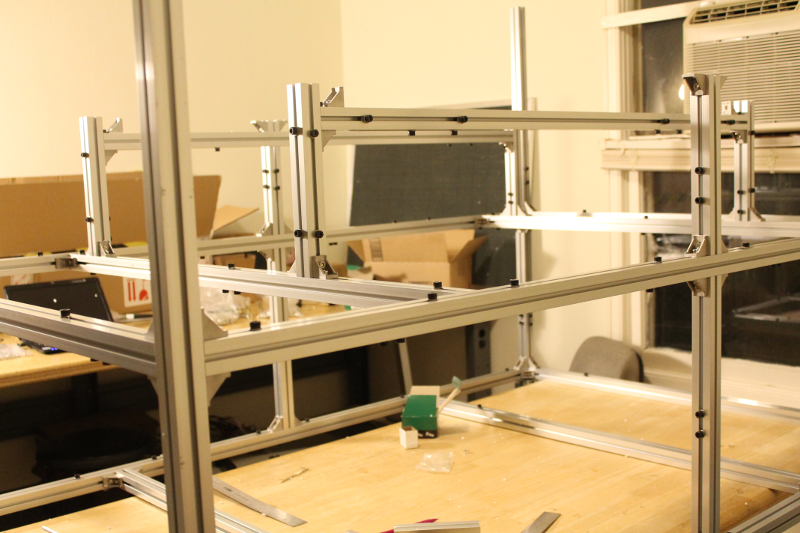 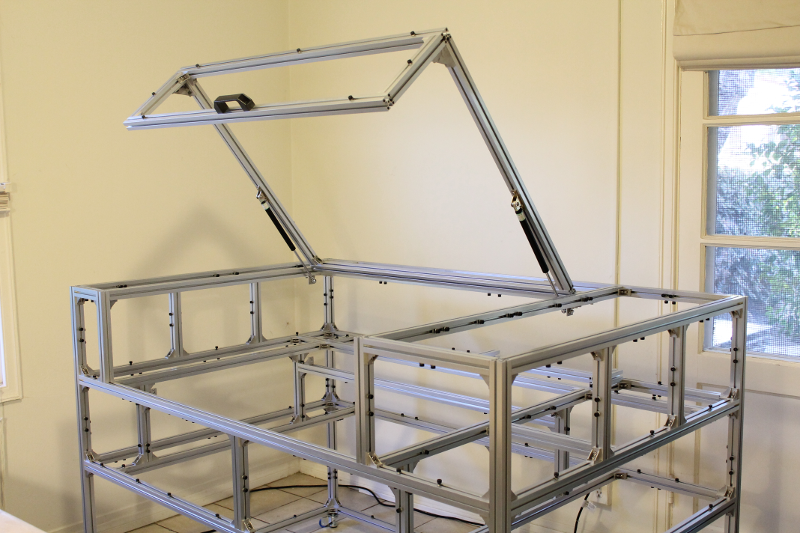 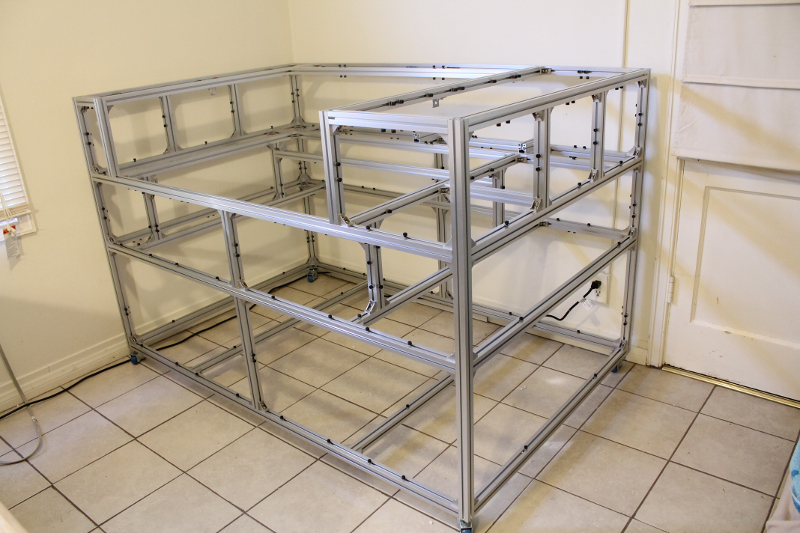 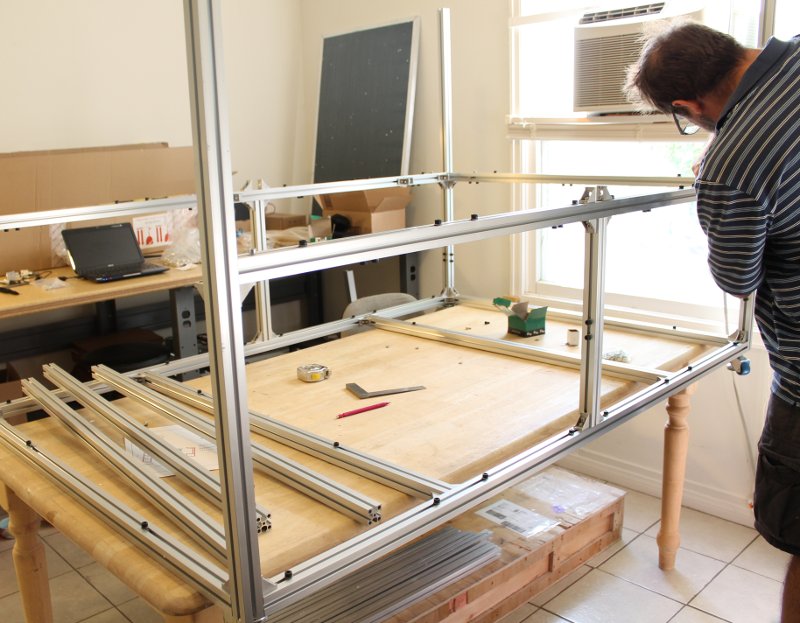 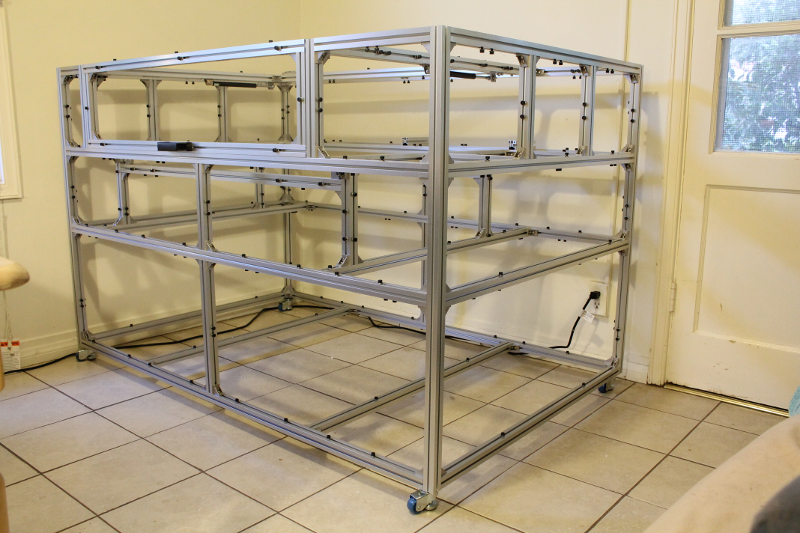 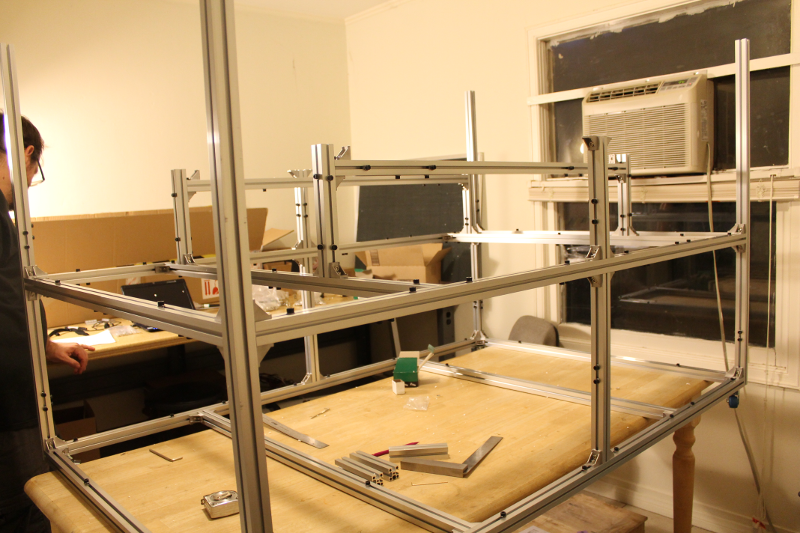 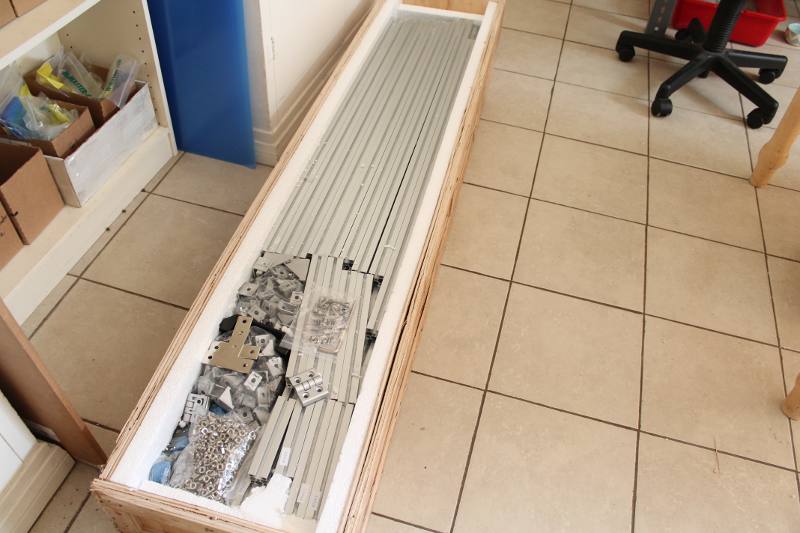 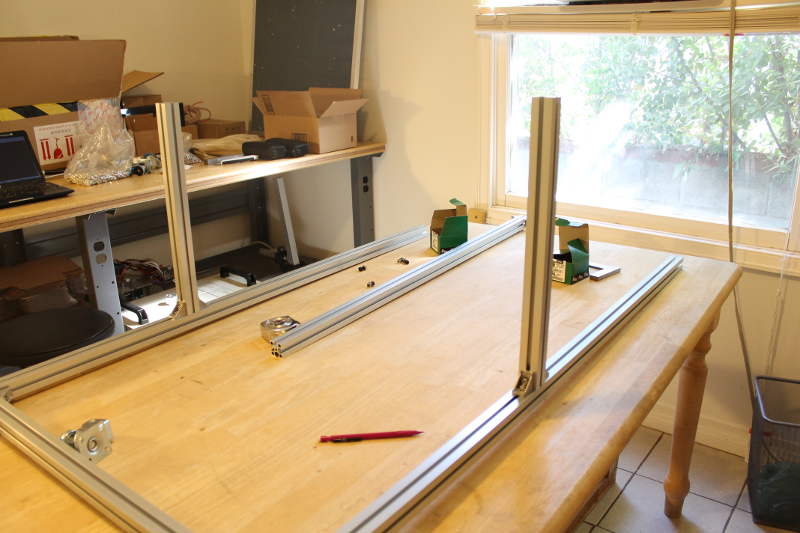 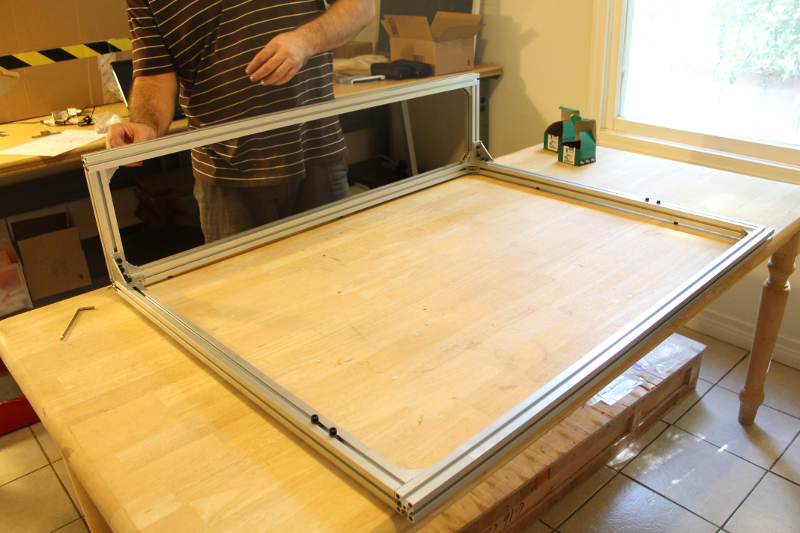 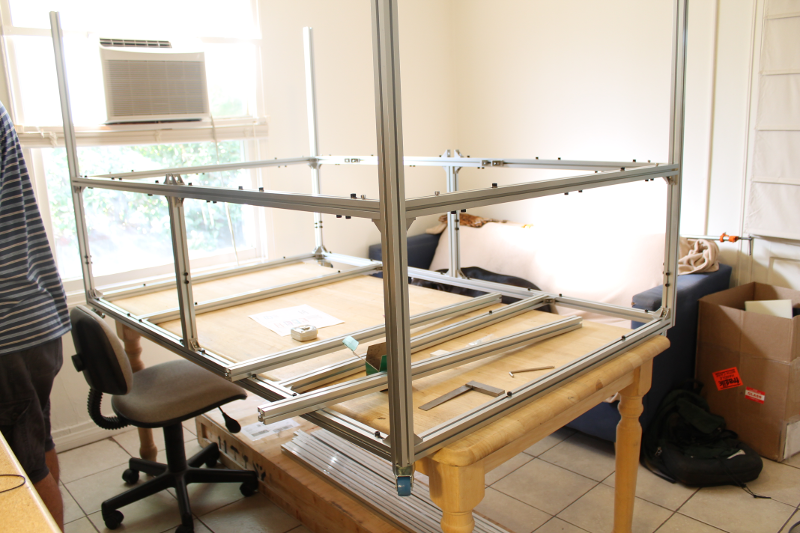 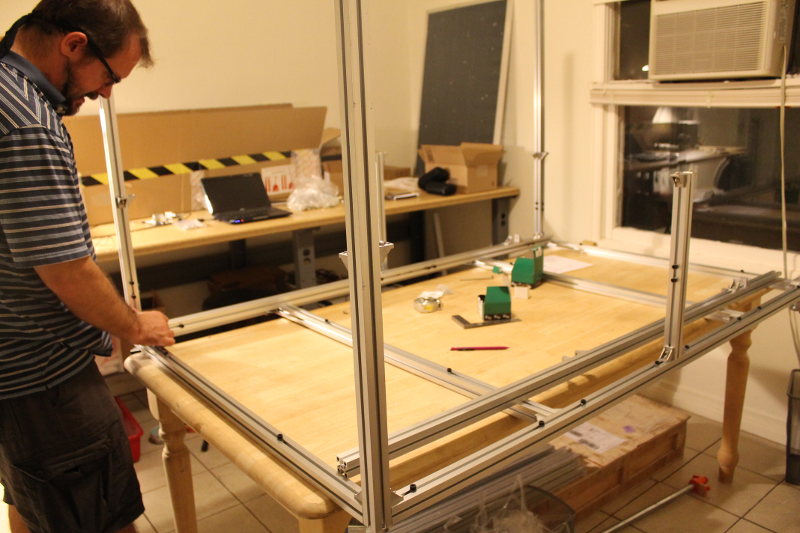 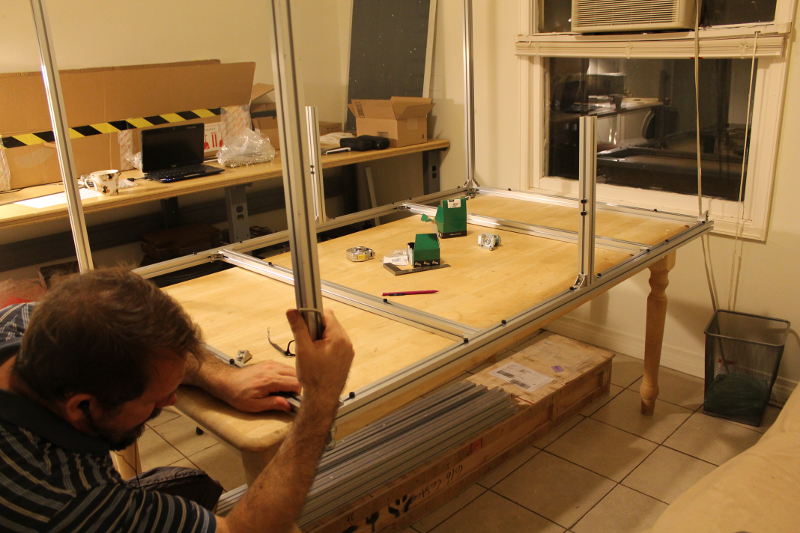 Below are some images of the laser cutter frame build. 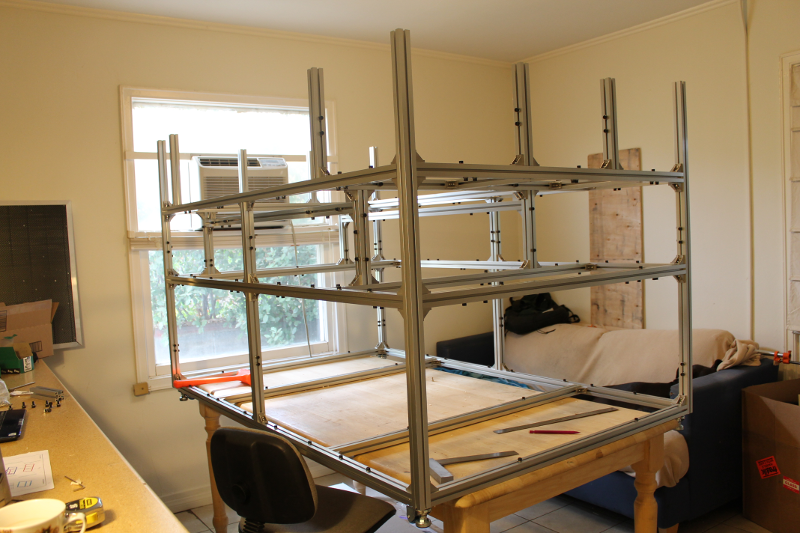 This was completed over about 2 weekends. 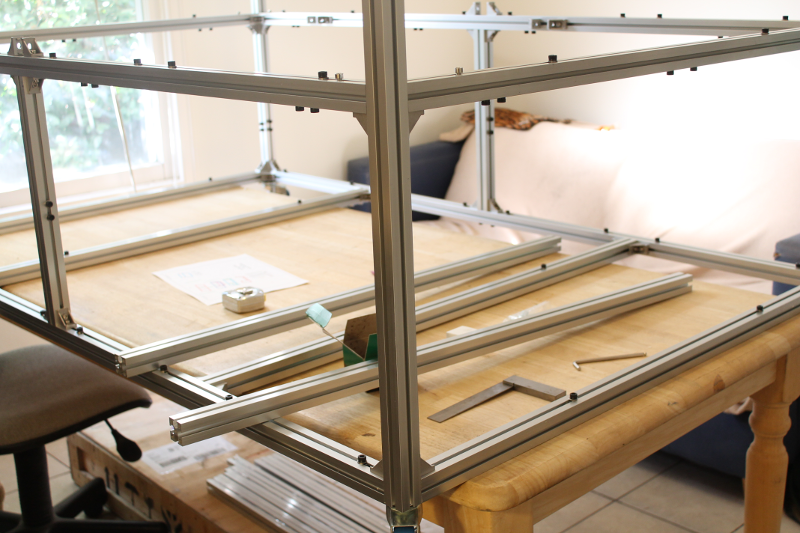 The frame kit from Light Objects includes a single-sheet diagram for guidance (Setup Diagram). 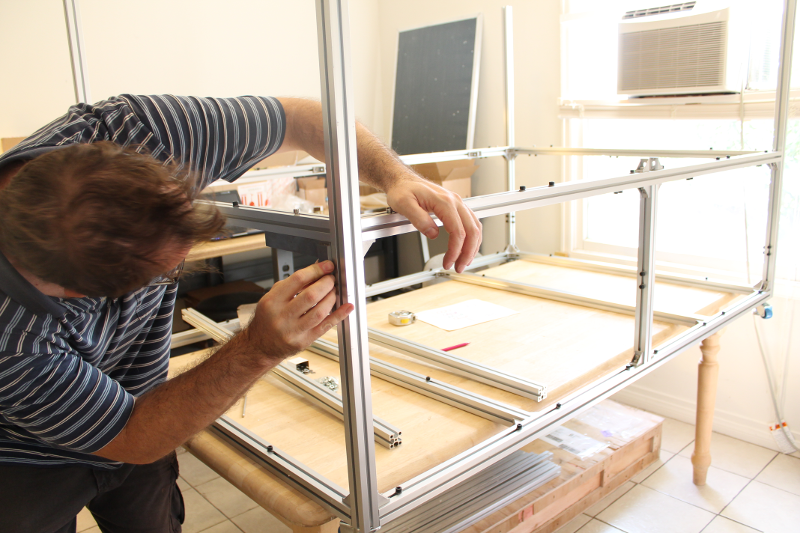 You can also download a copy from here: http://www.lightobject.info/download/file.php?id=1871.